If you are looking for a detailed and scientifically focused discussion on coffee, you came to the right place. 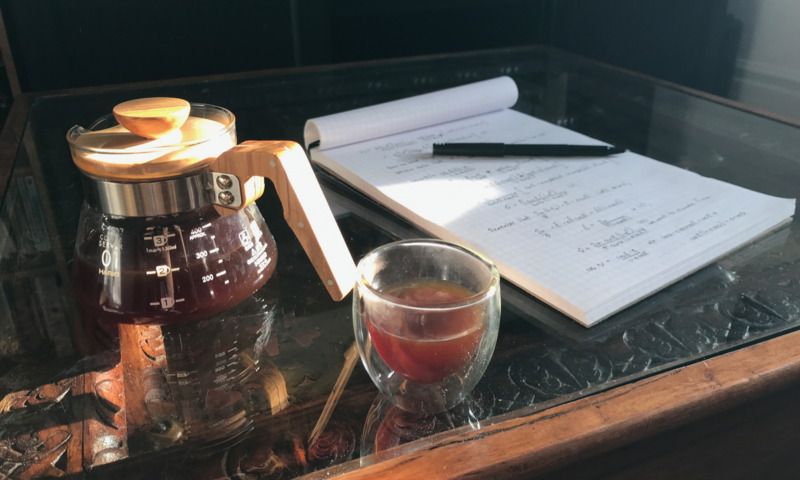 My daytime (or sometimes nighttime) job is research in astrophysics (more on that here), but I also have a passion for coffee – drinking it, but also understanding the deep technical details of coffee brewing. On this page, you’ll find a link to my blogposts related to coffee. My goal is to create an accessible resource for other coffee geeks like myself; I found it hard to find impartial, free and detailed information on the technically focused aspects of coffee, and this is my attempt to help a bit. Detailed information on the matter of coffee brewing may be hard to come by, but it is by no means inexistent. Others like Scott Rao and Socratic Coffee have been freely sharing a large amount of incredible resources on this subject, but this is a small number given the amount of people that love coffee. This page will not be focused on describing roasters, coffee shops or some great coffee beans I just tasted – for that, you can have a look at my Instagram account. Instead I will be putting here the information that I consider useful in the long term, you can view it as a repository for technical information about coffee. Thanks to Vince Fedele from VST labs, I have recently been freely offered the legendary VST III refractometer, which is the most accurate instrument on the market to measure the concentration of coffee. This allows the geekiest ones to deduce the fractional extraction of the dry coffee beans that were dissolved by the brew water (often referred to as the average extraction yield). I admire Vince’s boldness in offering this high-end instrument to a nobody with three blog posts and a hundred Instagram followers. I already started experimenting a TON with it, and you can expect several blog posts that will put it to heavy use, very soon ! I owe a great deal of my coffee knowledge to Scott Rao, who spent a lot of his precious time helping me understand coffee brewing, and improve my technique. A very large fraction of what I am distilling here was made possible thanks to his help, and I would probably still be figuring out some of these things in five years if he didn’t steer me in the right direction. I am also owing to Chris Capell at the Montreal Coffee Academy who first got me interested in coffee about seven years ago. He opened my eyes about how good coffee can taste by serving me an amazing latte at his previous coffee shop Le Couteau, or rather by serving it to my friend: I still remember her being mind blown, handing me her cup and telling me taste this, with a seriously worried facial expression like she had just seen something that made zero sense. And then we both wondered “What is this beverage ? Where the f*** are we ?“. Sandra Wolter, who owns the Sweet Science Coffee shop in Washington D.C., also shared a ton of coffee knowledge with me back when I lived in DC, but maybe more importantly she also served me the best, second best and third best V60 brews I ever tasted. Comparing these to my own sour, dull cups of coffee made it clear that there was a lot more to know about coffee brewing than I thought at the time. In case it’s not obvious, I have no vested or financial interests in anything coffee-related, as my career is focused on science. When I discuss some gear that I like or don’t like, I receive nothing from it. When someone gives me a piece of gear, I’ll always make it clear every time I talk about it. I want to remain as objective as I can in this discussion – I hope you enjoy it !